The Democratic Republic of the Congo has had an ongoing, violent crisis in its eastern regions since 1994. The crisis has displaced millions of people and destroyed numerous lives. The Forces Démocratiques pour la Libération de Rwanda (FDLR), one of the most significant armed groups in the area, is currently negotiating a demobilization process with the Congolese government. If successful,this could help bring vital stability to the region and end decades of chaos and violence. MCC’s Global Family education program supports students in the Mubimbi camp for families displaced from their homes by the conflict. The camp is on the western shore of Lake Kivu. The negotiations are unfortunately proceeding at a slow pace due to a number of factors, including a high level of mistrust between the opposing parties. 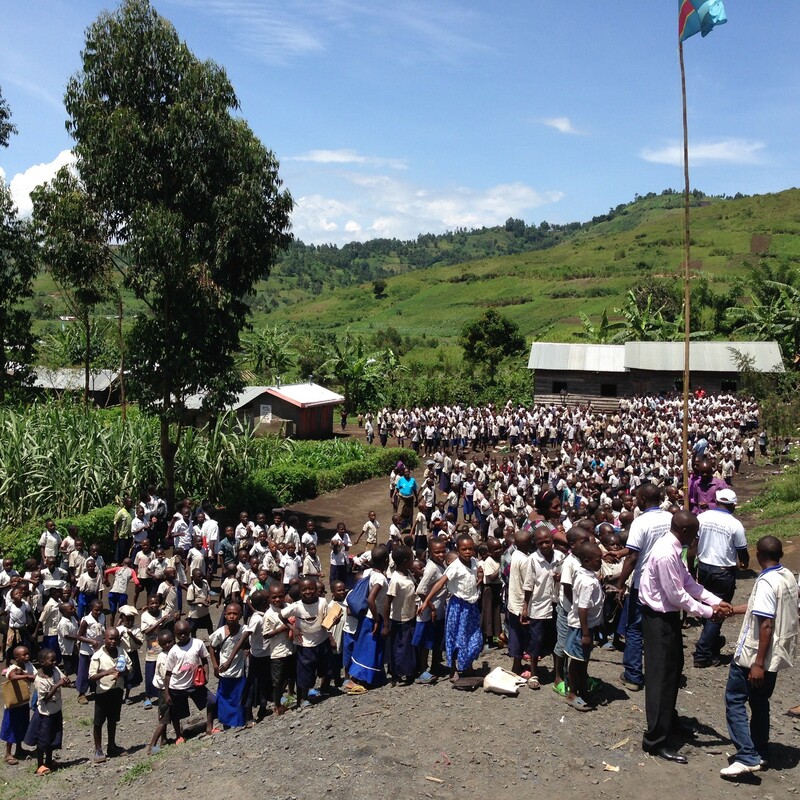 MCC supports a local organization that works on disarmament and demobilization with the FDLR. The Dodd-Frank Act, passed in 2010, included provisions that were meant to limit the production and sale of conflict minerals in eastern Congo. The Act has unintentionally contributed to the collapse of Congo’s artisanal mining industry, leaving several million people without a livelihood. Furthermore, the armed groups that were targeted by Dodd-Frankavoided the intended repercussions by diversifying their funding streams and subsequently have not been strongly affected. Numerous local land international organizations have advocated for changes to Dodd-Frank or new legislation to reduce the violent, destructive effects of conflict minerals.